In recent years, students in the US have accrued well over 1 trillion dollars in student loan debt. While many factors account for this, such as soaring tuition costs and lack of college funding for middle class students, there is one large discrepancy that is not investigated as much. Though students of both sexes suffer from college loan debt, female college graduates typically have greater problems repaying the debt after leaving the university due to income inequality. Because women college graduates make less money, they have less money to pay off their college debt. At the moment, the average student graduates with $30,000 in college loan debt. 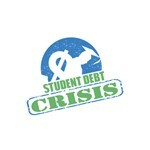 However, it is not unheard of for students to graduate with upwards of $70,000-$100,000 in debt at the age of 22. But compounding this problem is the fact that the post-graduation job market is much more unforgiving to women. The American Association of University Women recently found that men and women from the same graduating class and working in the exact same jobs were paid much different salaries. Women typically made 18% less than men but were still expected to make monthly loan payments of up to $1,000 per month. If your beginning yearly salary is $35,000 or less, this can be a substantial bite from your budget. However, the gender differences do not end here. Women are also more likely to borrow money for education. This means that more women borrow money and are expected to pay more back with less income. As a result, all this debt affects how women decide to live their lives. Whether they choose to return to graduate school to increase their income or to even take a job opportunity across the country, college loan debt is often affecting women’s lives post-graduation more adversely than their male counterparts.